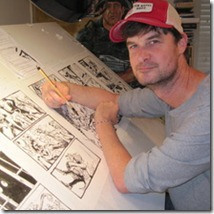 Animator legend and Earthworm Jim creator Doug TenNapel kindly agreed to give us some time for an interview. Adrian strapped on his spacesuit, grabbed his laser gun and slapped on his best crazy-worm face (oo-er) to have a chat with the legend himself. How did you get your big break into animation? 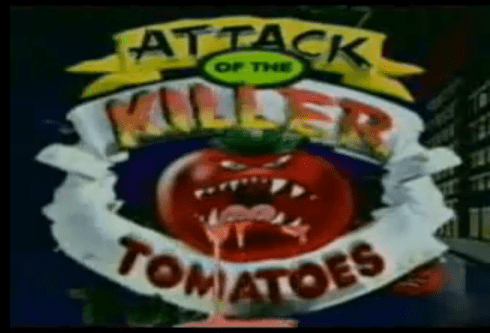 My big break was in working on the Attack of the Killer Tomatoes animated series (we remember this! – Ed) in 1991. I wasn’t very good, but I learned so much from my teammates and my directors. Just the basics like pose to pose, how to read an exposure sheet and it put me in contact with many creatives in the bigger industry of animation. When Attack of the Killer Tomatoes wrapped, I was unemployed in San Diego and doing freelance illustration and fine art shows. I looked into being a waiter, did some pick up jobs at Sea World, but found out from a friend that there were a number of small video game companies in San Diego. I applied to all of them, and started doing freelance animation. Once they saw my speed they gave me as much work as I could handle. I was 24, so I would put in 18 hour work days and save up thousands of dollars for the tough times. I ended up getting a full time job at Blue Sky Software in San Diego and within a year I was the lead on Jurassic Park Genesis, mostly because there weren’t many people to choose from in this young industry. Is there a big difference from animating TV shows and films to animating characters in video games? When I started out, video games had many limitations due to memory storage and delivery of sprites so we had to spend our time on the big moves of a character with little room for more frames. It made me really understand how to make an economical squash, stretch, anticipation etc. So there was a lot of overlap (pun intended) between TV and video games. Earthworm Jim is a great video game character – can you explain how you first came up with this lovable worm? I don’t remember having to struggle to come up with him, because my stuff just kind of junks out of me. I make those characters all the time, and EWJ didn’t jump off the page as a smash success. He belonged amongst my other characters. That’s the trick, picking out the right character at the right time, I just-so-happened to develop and run with Jim. Perhaps, it was the funkiness of his name that moved me the most. What was it like working on Jurassic Park, The Jungle Book and Ren & Stimpy pre-EWJ? I learned the basics of gaming on those projects so they were key to me being able to work in the gaming industry. But I love creating my own stuff so much more. When I make my own stuff I get to make the characters do things that make more sense to me. When I’m working on other people’s stuff, I have to guess or consult with them on what they think the characters would do. I think my own stuff has a successful enough of a track record that it can stand toe to toe with the rest of culture. How different was it and did you have a lot more freedom when working at Shiny (developers of EWJ)? Absolutely! Shiny took the ceiling off of me and that’s probably the nicest thing anyone can say about where they work. I never felt like Shiny was forcing me to do something I didn’t want to do. I was on fire at the time and they were a giant fan making me produce my best work. My animation really took off working with Mike Dietz and Ed Schofield but the whole place was bubbling with energy and I love all of those guys on that team. What was it like working with David Perry at Shiny? DP was young and ambitious. My kind of guy. He was the spearhead of that company that cleared the way for the gamers on his team to make great games. Playmates Toys gave him a long leash, funded us, and let DP flourish. That’s how you do it (indeed – Ed). 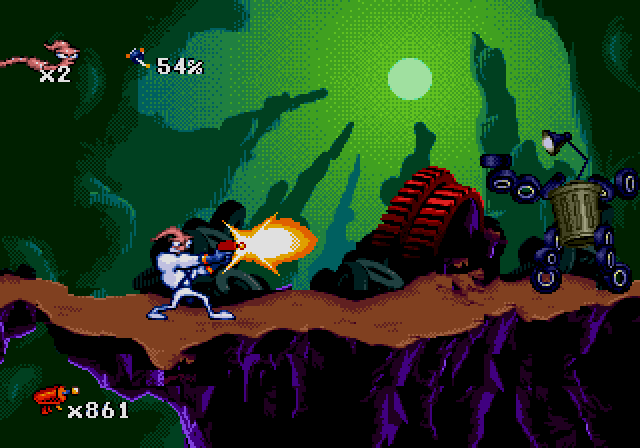 Apart from Jim himself, do you have a personal favourite character from the Earthworm Jim series of games? I like Professor Monkey for a Head. That’s about as screwed up of a character as I’ve ever made (and we’re not gonna ask how… – Ed). What are your feelings on the two Earthworm Jim titles (EWJ 3D and EWJ: Menace to Society) that you were not involved in? I don’t like sucky games and Jim 3D could have been a lot better. I don’t have a lot of interest in the character outside of when I’m working on Jim so the sequels don’t really show up on my radar. They seem more like lost opportunities and I don’t think they sucked because I wasn’t involved in them. They could have been bad just because of the platforms. Do you have any plans on making Earthworm Jim 3? No. I’ve tried and it’s too hard to make the deal work to pull that one off (ahhhhh – Ed). I’m always open to work on EWJ but I’m not going to destroy myself to get to work on a character I don’t own. It has to make sense to me and the game has to be a fantastic idea with a brilliant team. EWJ isn’t just any old character, he represents excellence in gaming as much as he represents a worm in a suit to the fans. People forget that. I could make that game, by the way, and it would kill. So it’s not like it’s impossible (do it Doug! – Ed). Earthworm Jim the cartoon series was well received by critics and lasted for 2 seasons. Were you disappointed the cartoon didn’t go on for a few more series? I was. It seemed so easy to make and there were a lot of politics between Warner Brothers who owned the Kids WB network and putting on a show that was essentially helping Universal animation. It was easier to just slam a Sylvester and Tweety Mysteries in its place (grrrrrrr – Ed). 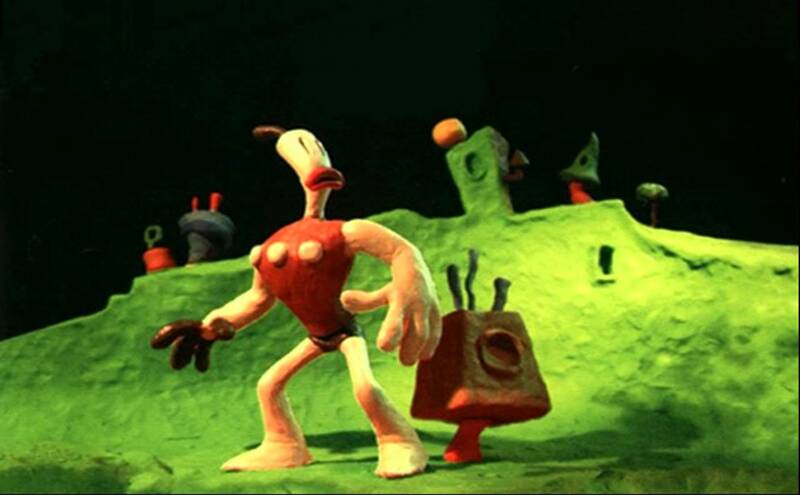 The Neverhood was a really ambitious animated video game that has picked up cult status. How did you first come up with the idea? I was doing fine art shows in the late 80s and one of the titles was “A Beautiful Day in the Neverhood” about a clay city with clay people. I was doing a lot of sculptures to go along with my paintings and I’d been doing puppet animation since I was nine years old. When I left Shiny with an opportunity to come up with anything, Dreamworks offered me a deal. Like my previous successes, Dreamworks just worked to take the ceiling off of me. When you put a low ceiling on someone, you get crap work. The Neverhood came from that spirit of exploring art, the boundaries of gaming and style in addition to substance. Armikrog looks AMAZING and has already got a lot of fans really excited. Can you tell us what we can expect to see from this new title? You can expect great characters, great animation, a compelling story and challenging puzzle work. You will feel things, see stuff you’ve never thought of before and hopefully get some laughs too. When do you hope to launch Armikrog to the public? What consoles will Armikrog be available on? I know our top priority after the PC and Mac versions come out is to honor our Wii U commitment. We will also make a PS4 version just because it seems like a no-brainer. I imagine Mike and Ed at PencilTest will need to take a breather after the main game delivers, and the release will instantly flush out bugs we’ll have to take care of no doubt. You have managed to raise just under $1,000,000.00 from KickStarter to make Armikrog – how does it feel that so many people are so keen to see this game made? It feels like the gamers are finally in charge of our games. I like that. I trust that crowd so much just because of our Kickstarter campaign. We never approached our audience this way. Usually we make a game and it’s like we gift it to the players. But this time the players gifted us with the ability to make the game. And like all of my successes, PencilTest and the Kickstarter backers lifted the ceiling off of me. I hope I’ve done everyone right. I really want to honor the investment people have made in this game. It’s important that it succeed and it’s important that this model work for other games and developers too. If you could give one piece of advice to anyone who wanted to get into animation – what would you say? It feels like it’s stuck in a rut. I wish there was more gesture and innovation. My hopes have turned to smaller indie games to lead the way to explore and create. I wish games had a softer side. Perhaps that’s the charm of Nintendo, it feels more like Walt Disney would find a home there. E. Honda would probably loosen up and be an interesting pal with a few pints in him.